The American Dream for many is to own their own home. Similar to the effort needed to make any dream come true, being an Indianapolis condo owner takes a lot of work. Buying a condo in Indianapolis, means committing to making any repairs needed along the way, complete with a commitment to maintenance and landscaping chores as needed. Many would be buyers do not want this responsibility or have time for these outdoor chores so they look to purchase a condo instead. 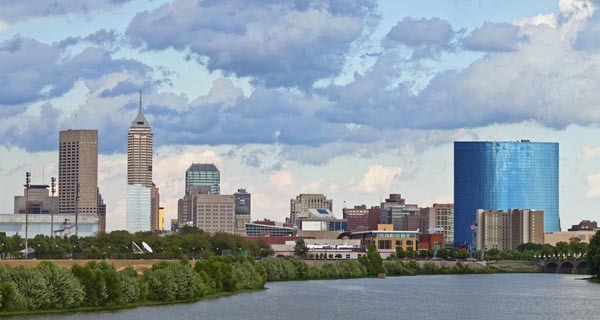 When purchasing a condo in the Indy area, you need to not just focus on the actual unit you will be living in but also the homeowners association. How a condo homeowners association, or HOA, is run is every bit as important as its asking price and location. Request the condo’s HOA balance sheet. You’re entitled to copies of the condo’s HOA balance sheet, yearly dues, revenue, reserve fund balance, notices of any pending lawsuits, the percentage of units in arrears on dues and any recent special assessments (fees) imposed on member-owners for maintenance, repairs and upgrades. What to look out for? Huge red flags include lawsuits, sizable ebbs and flows in spending, emergency borrowing, frequent special assessments and imminent big-ticket repair items. Who is the owner? Find out who owns the building, too. If the developer went belly up and a lender took over, the HOA may be struggling to maintain the building on its budget, so you can expect reductions in services and more of those painful assessments. Who manages it? Also ask if there’s a professional property manager or if the complex is self-managed. Being a Condo owner is a big decision. It’s also not for everyone. If you want fewer home maintenance tasks, or if you just prefer a simpler, more organized life, perhaps condo ownership is for you. If you are still searching for that perfect Indianapolis, IN condo, let a local expert help you out. Buying a condominium is an exciting and complex adventure. We pride ourselves in being local experts and would love to help you get acquainted with our city. Contact The Heard Real Estate team when you are ready!